You know how fuzzy peaches can be? So fuzzy that sometimes it feels as though you can smell the fuzz, that it’s just so very peachy and juicy you can’t help but take a big bite? The aroma is so full of fresh peaches that you can smell the fuzz. 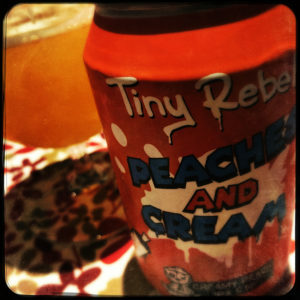 Taking a swig all that peachy goodness is still there, round and fat and chewy, but it’s tempered by a lovely soft vanilla ice cream wafer, caramel and honey malting that works alongside the lactose to make the beer smooth and creamy. The hops are clever as well, adding hints of orange peel and garden foliage that backs up the fruit rather than slicing across it. All this makes for a lovely little bright refreshing beer that I could drink all day. 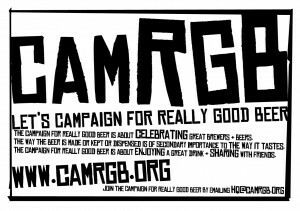 This entry was posted in Beer Review, CAMRGB and tagged Beer, Beer Review, CAMRGB, Can, Canned beer, Drinking, Fruit beer, Pale Ale. Bookmark the permalink.